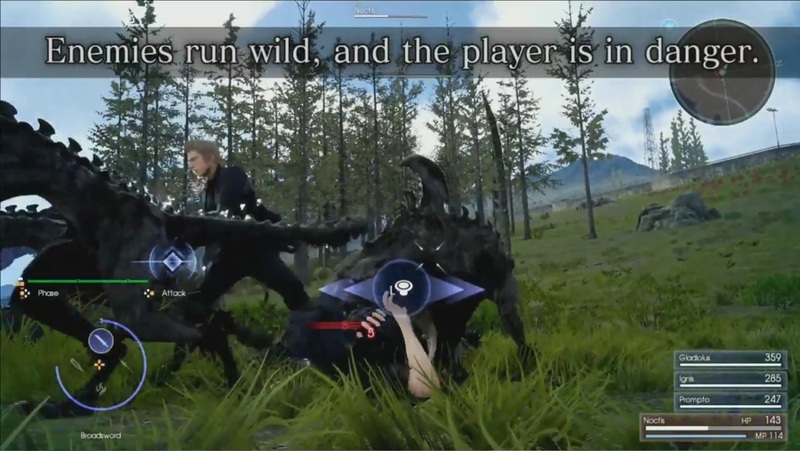 Square Enix held a special presentation for Final Fantasy XV at E3 today, detailing the core tenets of gameplay. 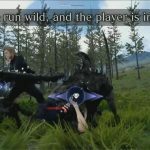 While the content at the press conferences was for a wide audience, director Hajime Tabata shared the following was intended for a core audience. 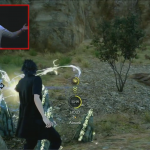 He detailed three gameplay tenets that make Final Fantasy XV a “leading edge” game. That’s “Road Trip”, “Adventure”, and “Combat”. To illustrate that end, he showed off a bunch of new gameplay footage based around these points. 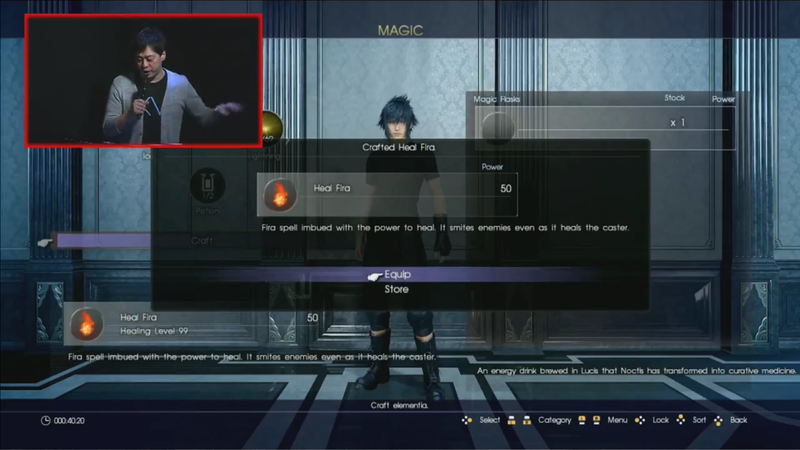 Noctis will be able to absorb energy from points in the field, and together with various components, will be able to craft magic. 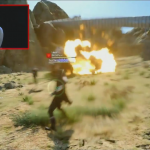 In the video footage, we see them craft a Fira spell that has healing properties. 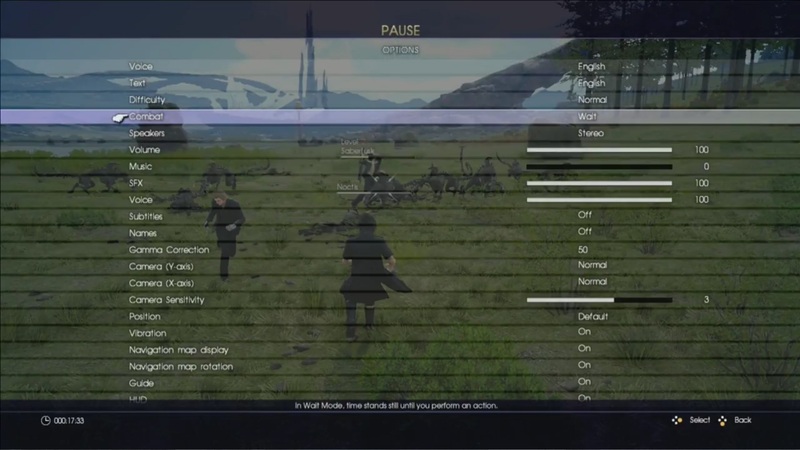 We also learn that the game’s combat system will have a Wait Mode activated in the Options menu — similarly to previous Final Fantasy games that had an Active Time Battle system. In this instance however, time will pause so that you can assess your next action. A Wait Mode gauge will appear on screen, indicating that time will slow until the gauge runs out. This feature was added for players that are not so confident with action battle systems. Check it all out in the videos below! 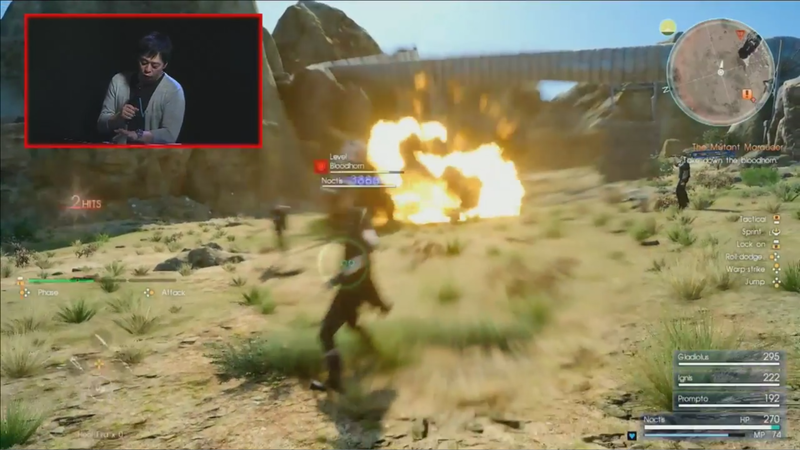 Final Fantasy XV will release on September 30th for PlayStation 4 and Xbox One. 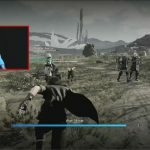 Stay tuned to Nova Crystallis for more E3 coverage. I guess I understand with the wait mode thing. But I’d rather try to get better at the game than just use it. Wait Mode reminds me a lot of the Dragon Age series (specially on PC). I think it’s a good feature to make the combat a lot more tactical. Good option for those who aren’t used to the fast action. I’m not going to use it but options are better than none. I’m SO thrilled for wait mode! Brings back a lot of the RPG and strategy element to the game! Not to mention the draw points which allow you to combine and create your own items. This is feeling a lot more like a FF game right now! This may be that game, on a gameplay level… But I am thinking to big probably lol. It’s about time they show the Wait Mode! Is it me or did the graphics downgrade a lot?? 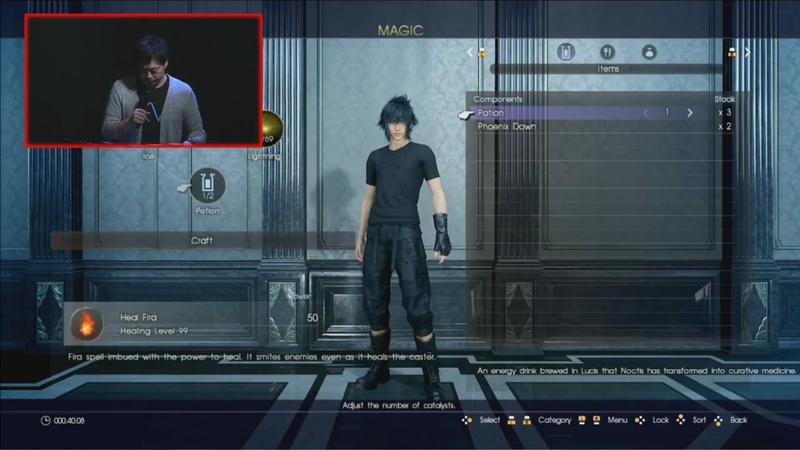 It’s not HD, it’s screenshots taken from the livestream. Even when I watched the presentation it seemed off too. 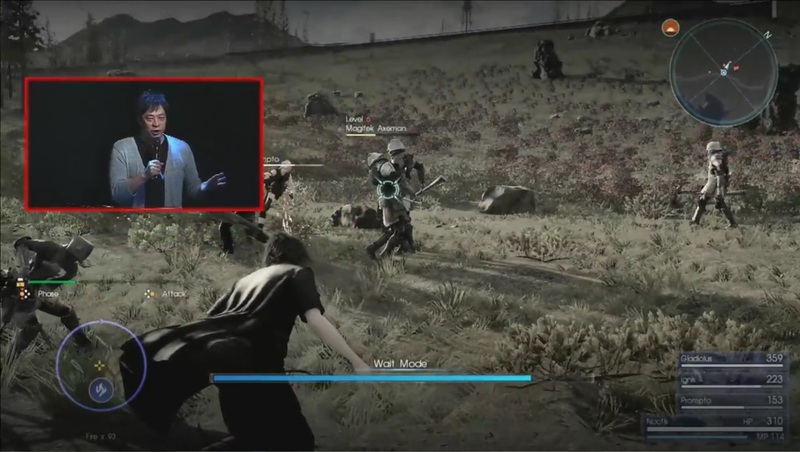 ‘Cause it’s a livestream…have you seen the E3 trailer, the graphics look amazing. There hasn’t been a downgrade, it has only improved since Ep. Duscae. This stuff needed to be on stage and in their marketing, the press showings were completely puzzling and the marketing is failing them right now. Console footage is also looking rough with not much time left. It’s not there for you to feel like you have to use it, it’s merely an option. 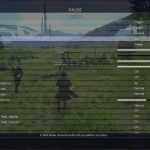 Old school Final Fantasy had options as well. I’m an old school fan but I also like KH style action rpgs. I’m torn. Did they break the horns on that rhino-like monster? Making attack spell also heal you is a nice touch! SWEET! 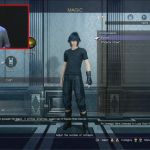 One thing you’ll probably notice about Square Enix presentations is that they have the shittiest cameras when they’re streaming stuff, everything looks grainy and blurry. It’s especially prevalent in the Live Letters of XIV. I think in 1 combat, there is a limited time that you can use the wait mode. 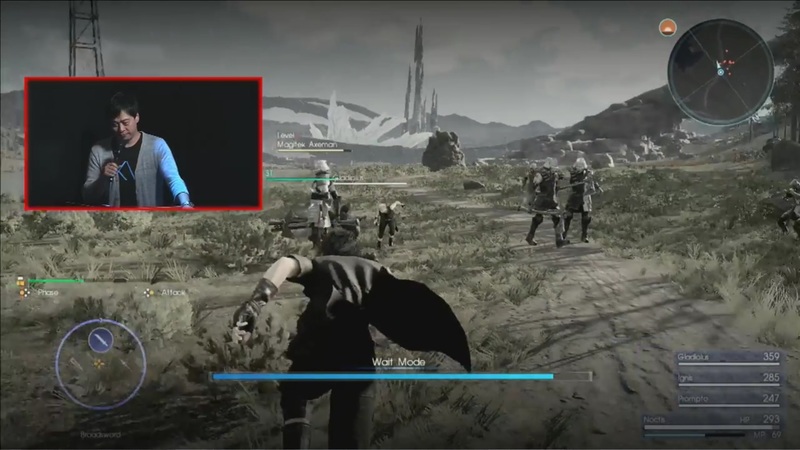 I noticed in the video that the time limit (blue ticking line at the bottom of the screen) when wait mode was used did not reset during the combat. So that’s probably a good measure to protect people abusing it against the boss fight since it should be count as 1 combat. You’re watching and looking at stuff that is being compressed in some capacity. I imagine the graphics will be akin to Witcher 3’s either the same, or slightly better. I’m pretty happy with that. yes they did! destroyable body parts are in! I belive they did change it. The voice actor is the same though, they just asked him to perform differently. 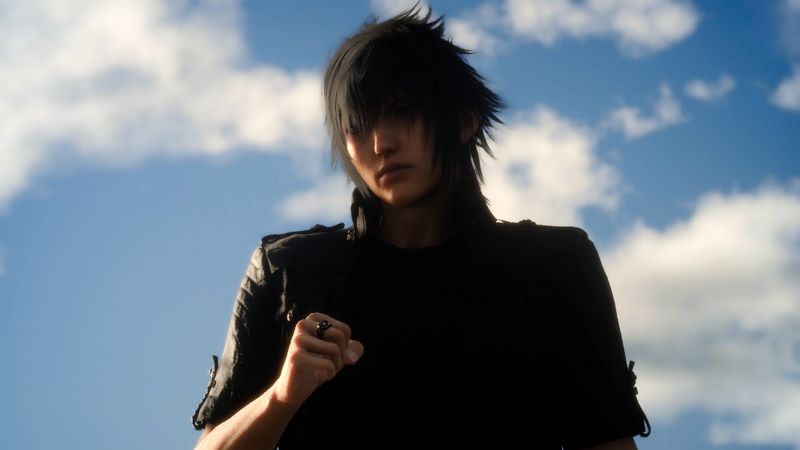 I liked Noctis’ old voice and I also like the “new” one. Yeah but CC did those for just one guy. 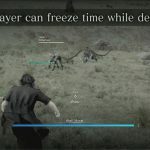 Seems like thru Noctis the whole party can do this now. This is gonna change battle forever. Imagine. A tank character who casts a defense spell like shell or protect on themselves and it heal them too. Or casting haste that also raise critical rates! Hadn’t thought of that. I wonder if you can give them magic/items as well as equipping and upgrading their weapons. It’d be the same pretty much as setting up Donald and Goofy in KH. 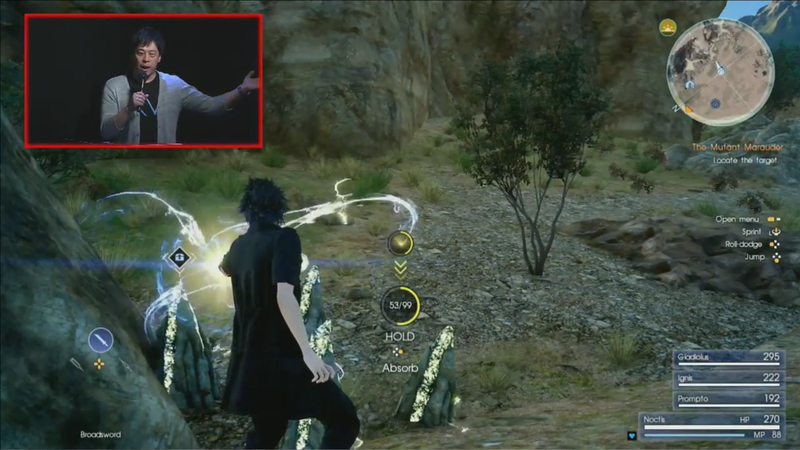 But giving ignis the healing attack spells while giving prompto the items that cause status ailments and stuff could be really useful. I’m pretty excited about the spell combination possibilities too. Does remind me of all the spells in CC like Dark Firaga and the like. Yeah like everyone else said, even hd trailers usually don’t look as good as the final product does for most games. I forget which game I was watching…oh yeah Uncharted 4 trailers looked pretty great I was watching them right up until I started the game, and then the actual game pretty much blew the trailers visuals away (not literally, but it was definitely better in the actual game than in any of the trailers). But it’s pretty common anytime you records something, compress it and then rebroadcast it it gets slightly more diminished each time. Yup my thoughts exactly heh. 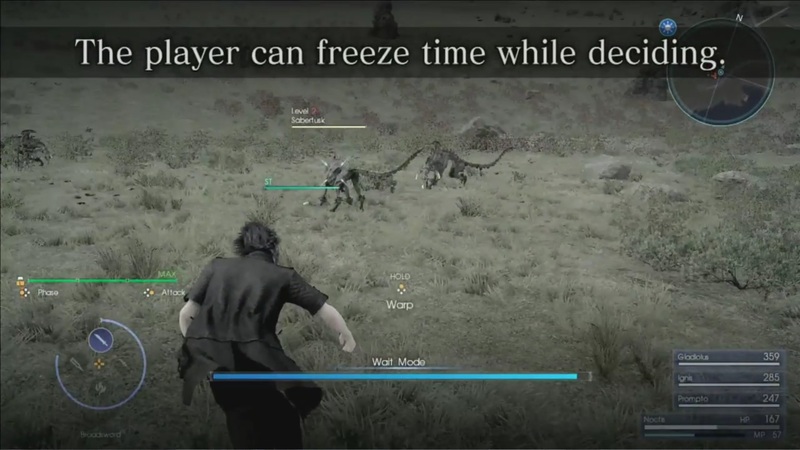 Was thinking that too, except it seems like you have a time limit, ala ATB system, and it doesn’t zoom out giving you an overall view of the battlefield (which I kind of actually like in this case since you only control Noctis anyway). I doubt I’ll want to use it. I like both turn based and action, but in this game action makes more sense to me. However I will most likely try it out just to see how it works and if it appeals to me or not. The one thing I do like about it is how it auto targets to make throwing spells much easier. Kind of Wish could just activate it for that only hehe. Well the point of it was sort of to make battles easier for players who weren’t that great at action games, or wanted a feel of the old ATB/Wait system, but like Firezz said it’s still a limited timer as you can see it counting down when it’s used. They never show what happens when it runs out but you might get stuck not being able to use it until it recharges which would make sense in the old ATB style of gameplay. But it’s also entirely an optional mode. If you plan to use it pretty sure it will have a few negatives, besides the fact that it will make battles last a lot longer (depending on how frequently it’s used). Also there’s always the possibility of dlc patches like the Witcher has been doing for some time to fix/alter things based on player feedback. I doubt they’d change anything major, but if people want the time to drain faster/slower or something like that I could see them changing it. Best time to use it would be boss battles I bet. If they still have 12 style gambits I don’t doubt they’ll let you tweek weapons too. Its probably just a matter of finding shops for it. Maybe their rare. Last game to a serious synthesis system that was an FF was X. 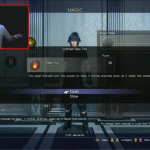 Well XIII had synthesis for weapons…kinda heh. It did but it wasn’t much pay off. The weapon barely looked different and wasn’t much of a change except for some bonus stats. Also, most of 13 only showed “STR and MAG”. Seem XV is doing that too. Why not show the DEF and AGI and SPD and any other stats like Magic Defense. It’s like those are hidden or at zero from start unless you put armor on. Yeah dunno, I’m pretty sure there will be Def boosted equipment considering you get to equip different shields and stuff. The shuriken should have an Agi/spd boost. They might do a special on items and equipment closer to release, but I doubt they’ll show too much since they haven’t shown many weapon variations overall yet. Yeah they’ll likely leave it all a surprise. I think it reminds me more of V.A.T.S from the Fallout series. Of course, I haven’t had a chance to play any of the Dragon Age series yet so it’s entirely possible that your comparison is better. His voice has been drastically changed to be less deep and gruff sounding. 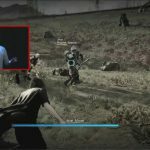 U can notice it best in the Titan battle footage. I think a lot of the other trailers and footage don’t have the updated voice in them so it’s easy to think his voice hasn’t been changed. Not only that but latest presentations were running at a stable 30fps. Digital Foundry confirmed this.